Q. Do [Latter-day Saints] give part of their earnings to the Church? 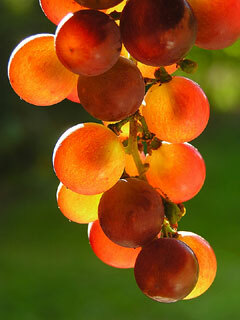 “Sacrifice is truly the crowning test of the gospel. Men are tried and tested in this mortal probation to see if they will put first in their lives the kingdom of God. (See Matt. 6:33.) To gain eternal life, they must be willing, if called upon, to sacrifice all things for the gospel. ‘If thou wilt be perfect,’ Jesus said to the rich young man, ‘go and sell that thou hast, and give to the poor, and thou shalt have treasure in heaven: and come and follow me'” (Matt. 19:21). Sacrifice comes in many forms: serving as a missionary, providing a meal for a widow, helping a neighbor roof his house, giving voluntary service to the Church, working at a local food pantry, etc. But you asked about money, so that is where I will focus my thoughts. “Bring ye all the tithes into the storehouse, that there may be meat in mine house, and prove me now herewith, saith the Lord of hosts, if I will not open you the windows of heaven, and pour you out a blessing, that there shall not be room enough to receive it. “And I will rebuke the devourer for your sakes, and he shall not destroy the fruits of your ground; neither shall your vine cast her fruit before the time in the field, saith the Lord of hosts” (see Mal. 3:8–12). If you live the law of tithing, you will understand what it means to have blessings pouring out of heaven such that you cannot receive them all. But this is something (like all principles of the gospel) that must be lived to be understood. You can know if it’s right to pay tithing by paying tithing (see John 7:17). Constructing temples, chapels, and other buildings. Preparing materials used in Church classes and organizations. Performing temple work, family history, and many other important Church functions. Education (Church-owned universities, seminaries, and Institutes of Religion). You may have noted (I hope with dismay) that the list above does not include giving to the poor and the sick and widows of the world. While tithing does play a role, there are separate funds (fast offerings and humanitarian aid) that primarily fill these needs. We will talk about these other programs in upcoming articles. Tithing does not pay Church leaders. Nobody acquires wealth at the hands of a Mormon congregation. Bishops, stake presidents, and all other leaders in the Church serve willingly without wages, aside from rich, spiritual blessings. They follow the example of King Benjamin in the Book of Mormon who taught that, “When ye are in the service of your fellow beings, ye are only in the service of your God” (see Mosiah 2:17). They support themselves by working in their chosen professions during the week. My dad is a bishop, but on weekdays he also works as a high school counselor. The bishop of my congregation in Logan, UT is an orthopedic surgeon. They both pay tithing too. Tithing is a private matter. We do not pass around a collection plate and we do not publish last week’s earnings in the bulletin. (This really shocked me when I visited a particular non-LDS church service one Sunday). 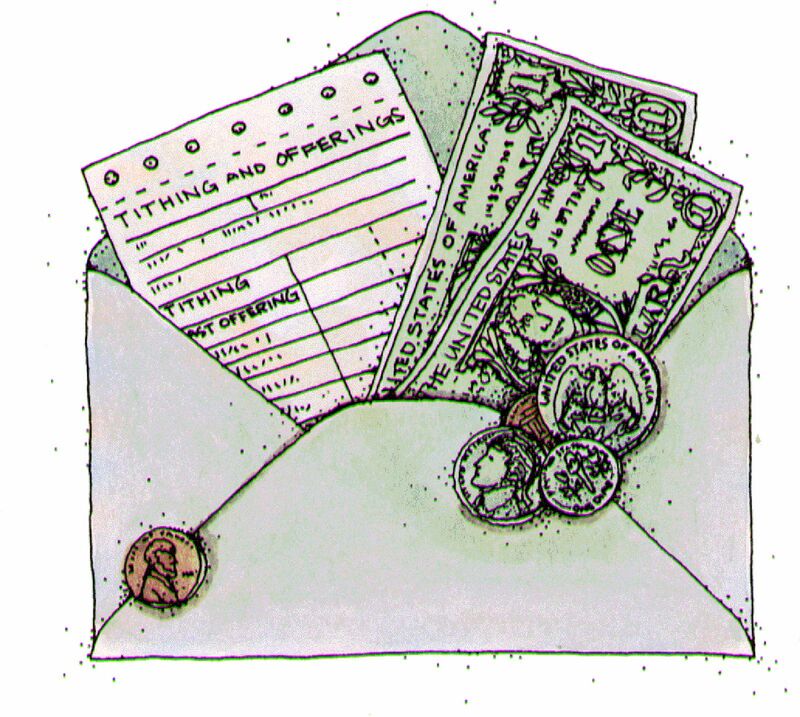 We write out our tithing checks and seal them inside a gray envelope. Then we discreetly hand it or mail it to our bishop. There need not be any pomp for hefty donations nor shame for measly ones. The Lord requires the same from everyone: ten percent. Giving any more or any less is not tithing. If you have never paid tithing, I encourage you to do it. You can obey this law even if you haven’t been baptized. There is lasting satisfaction in knowing you are supporting the Lord’s work and keeping His law. It is a true token of your faithfulness to Jesus Christ and the blessings that result will help you feel His love for you. This is a great post on one of my favorite topics. Tithing, once I committed to it, has been one of the easiest principles for me to follow. EZRA TAFT BENSON’s own grandson calls him a racist. Type the name in your browser to see the entire article by Steve Benson. Also, notice how none of the tithing money goes to anything or anyone other than the church! In fact, LDS ers are not encouraged to give generously outside the church. It certainly is NOT true that we are not encouraged (or even discouraged) from giving generously outside the church. We are encouraged to help our neighbor and be generous with what we have. As for Ezra Taft Benson’s grandson, he is entitled to have his own opinion on the matter. What do his other 33 grandchildren think of him, I wonder? The church does in fact have avenues to give to various causes and groups outside of the church. A humanitarian donation is available, in the past it has given to the hurricane and earthquake victims of Haiti, the tsunami victims and many many others. The nice thing about giving through the church is that you know 100% of your gift is going to those in need as the church uses volunteers to staff and oversee the projects. I have been a faithful active member of the church since 1992, and study quite a bit on church history and church government issues… You stated, “Tithing does not pay Church leaders. Nobody acquires wealth at the hands of a Mormon congregation. Bishops, stake presidents, and all other leaders in the Church serve willingly without wages, aside from rich, spiritual blessings.” Leaders on the local level (i.e. bishops and stake presidents) may not receive income from the church, but you may want to search a little deeper to see if the upper level leadership does. I just want to make sure that you are getting your facts straight. Rayzor, thanks for pointing that out. I am aware that some general authorities including the 1st quorum of the seventy, the quorum of the twelve apostles, and the first presidency receive a minimal stipend for their full-time work. I brushed over this exception in the article to emphasize the important distinction between our faith and many others: our clergy are volunteer and not motivated to pastor by money. That is still true. All general authorities who receive a stipend worked in honorable professions aside from the ministry for most of their lives. As a rule, they enter this arena after they have retired. They did not seek a position among the presiding Church leaders and they were all called to serve in lower Church positions without pay for most of their lives. I would be very surprised to discover a seventy who had ambitions to climb the “ecclesiastical ladder” from elders quorum president, bishop, high counselor, stake president, area authority (all unpaid) in order finally (at age 60 or so) to get a minimal stipend. There are quicker ways to make a buck. President Monson isn’t paid for being a prophet, either. It’s for being a president; an administrator of the business arm of the Church. As a leader of this global organization, he has a full-time job to perform and can’t be expected to run a side business, but the brethren do sometimes write books to help support themselves (suggesting their pay is not extravagant). Thanks for bringing this up, Rayzor! If tithing is so great and if tithing is a required “sacrifice” to the Lord why do tithers deduct their tithing from their tax returns? This makes the tither beholden to the taxpayer because the tither is actually passing off the tax obligation to the taxpayer that must make up the taxes from others, like the poor. Everyone is entitled to give ten percent of their income to any charity they like and to receive the same tax credit. Government gives the credit because it wants to encourage charitable contributions among its citizens. Even without the benefit to our taxes, we would still pay tithing. God doesn’t need big expensive temples to know he’s loved. That would make him selfish. I think that money could be spent on helping the poor or others in need. On another note, why should anyone believe that Smith interpretation of the bible or correct any more than anyone elses, and don’t give me that stuff about God talking directly to him. How do we really know that’s even true. All Churches claim this kind of thing, but really, give me a break. I don’t believe in organized religion. I DO believe in God though. I have yet to be convinced by any church that any ONE persons interpretation is THE one. I see something one way and you see it another. I interpret something one way and you another. That’s why there’s so many religions/churches. If you’re a good person who does the best with what you have and have a moral and ethical life, then I don’t believe that a God who is suppose to be so loving would punish you because you weren’t Mormon or Catholic or Muslim or whatever. I tend to agree with you concerning your first statement concerning money spent on temples; however the rest of your post really doesn’t have anything to do with the topic being discussed. Hello. I am 13 years old, and already I know more than poor Macdonald. We say that we believe these things, no matter what people like you say. You say that someone could have just made it up. Fine, that’s a possiblility for every single church on earth. But if we do not have faith, we have nothing. If we cannot believe with every fiber of our being that we came here for a purpose, that our Heavenly Father loves us, what would there be to keep us from falling into the depths of despair? I say God bless you, that you may know that there is a true church. I won’t hold it to you (I know you will make your own choice, no matter what a teenager says to you), but Heavenly Father does love us. And one of the greatest ways to feel His love is to feel the Holy Ghost, but the only way you can do that truely and fully is to pray about it. Do what Joseph Smith did, and pray to know which church is the right one. You probably won’t recieve a Heavenly messenger, but you will feel a difference… a burning, a yearning, a love. I leave these things with you in the name of Jesus Christ. Amen. Katelyn, I know that God loves us all and wants what is best for us. You say the best way to feel His love is to feel the Holy Ghost, and the only way to do that is to pray about it. But, feelings can be deceptive. We may have a burning or yearning that is not related to God at all. I’m sure Martin Luther felt he was right when he started the Protestant Reformation. But look what came of that. There are now more than 33,000 Protestant Churches, all teaching something different. Joseph Smith was no different. And Joseph Smith’s teachings changed drastically from the time he began his church until his death. The only way to know if you are in the right church is to find the one that has been around since the time of the Apostles, that has never changed a doctrine that was taught by Jesus and the Apostles, and has had those teachings handed down through 2000 years by apostolic succession. There is only one church that can claim this and that is The Catholic Church. I know God loves me because He said He does (For God so loved the world that He gave is only begotten son) not because I had any feeling or burning. The only time I had a burning in my bosom is when I had heartburn and for that I took an antacid. Remember, the devil can disguise himself as an angel of light and lead people astray. I believe this is what happened to Joseph Smith. God bless you Katelyn, please read your Bible and the many writings of the early church Fathers and you will be led to the truth.